Home > Manufacturing > Spring 19 features (Classic) for Manufacturing allowing you to do more, prevent problems and generate more insights. 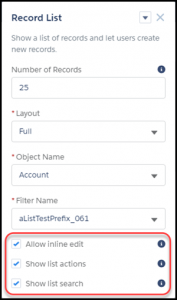 If you are a Manufacturer using Salesforce, this post will help you prepare for key features allowing you to do more, provide insights to your users and prevent problems. 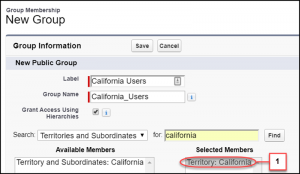 Now it takes just a few clicks to add all the reps assigned to specific territories to groups or queues. For example, you can add all your Florida reps to your East Coast public group. It’s faster than adding reps one by one and helps you avoid redundant groupings of users. Each org can send 5,000 single emails per day to external email addresses. For orgs created in Spring ’19 and later, this daily limit is also enforced for email alerts, simple email actions, Send Email actions, and REST API. If one of the newly counted emails can’t be sent because your org has reached the limit, we notify you by email and add an entry to the debug logs. For orgs created before Spring ’19, the daily limit is enforced only for emails sent via Apex and Salesforce APIs except the REST API. If you are GDPR compliant, now you can have sales reps send transactional emails to customers when the send Non commercial email option is turned on. With the new flow builder coming up, the old cloud flow designer will be retired since it is built in Flash. So stay on top with the new cloud flow builder which is faster and much simpler to use. How to use it: This is the most important reason on why you should sync campaigns from Salesforce to Pardot. This is a paid feature which you should check with your account rep on. To provide more consistent support, every user with a Service Cloud license now has a 360-degree view of a customer’s support history and can see past chat transcripts. Previously, a support agent needed a Live Agent license to view chat transcripts. So when a customer chats with an agent and then follows up on another channel, such as email, the new agent wasn’t always able to see the full history. A Live Agent license is required to deliver service using Live Agent in the Lightning Service Console. Game mechanics, such as using badges, are a great way to get your users involved in your community. The down-side is this is often done manually and can be time consuming. Instead, use the Missions feature to assign badges automatically. 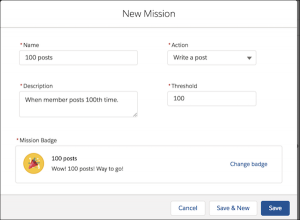 Community managers have their say in which action earns a badge and when it can be awarded, and then Missions takes care of the rest. Members can see which badges they haven’t yet earned, inspiring action. Why you should use this feature: This helps create topic experts which is helpful for self-service and engagement. When members have questions put your best information forward and let them help themselves. Configure the Ask and Contact Support & Ask buttons to respond with pertinent articles and previous answers when users ask questions. Members can cancel a question when the response hits the mark, or they can continue to post their question. Have your re sellers and distributors update leads in bulk and use predefined Salesforce list views. Why you should use this feature: This would help you to drive more engagements with your distributors and re sellers. Why you should use this feature: This feature should be used right away. You can view your audience engagement using google analytics. 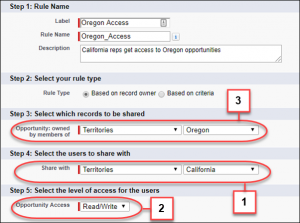 If you have multiple distributors and needing different levels of access to your object records, sharing rules can get complicated. Easily create sharing relationships between partner accounts and protect confidential data by sharing only select information. 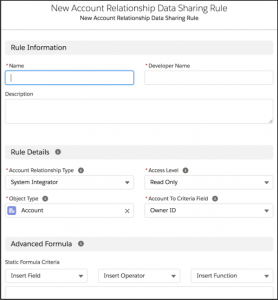 Channel account managers can use account relationship data sharing rules and account relationships to target how information is shared and who it’s shared with. Why you should use this feature: With this feature, you can create custom error messages with multi language messages using custom labels. 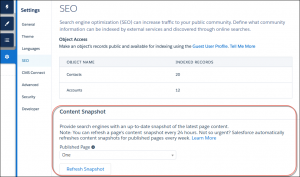 How to use: This is one feature admins will love. It will help save time on impact analysis. This feature does not do reports and dashboards yet but will be covered in future. You no longer have to load the change set’s detail page to initiate these operations. We added links to the Inbound Change Set page that you can use to initiate validation and deployment operations for both deployed and undeployed change-sets. If the change set has been deleted from its source org, these operation links aren’t available. If deployment of the change-set is in progress, these operation links aren’t available until after the deployment completes. We also added links to the Outbound Change Set page that you can use to upload or clone change-sets. If the change-set doesn’t contain any components, the Upload link isn’t available. 1. If you are in classic and use standard profiles, be prepared to have users experience lightning end of the year. So your options are to stay away from standard profiles or move to lightning. Click here for next steps on this. 2. If you are using gmail, plan to use the new chrome extension which has some good features on email templates and sharing.